Parks come in all different shapes, sizes, and purposes, but what they all have in common is a paved area. Whether it’s a simple parking lot or an elaborate walkway system, every park needs some solid ground, and that’s what we’re here for. Our park paving experts can install, restore, or repair any type of pavement so that your park is functional and beautiful. 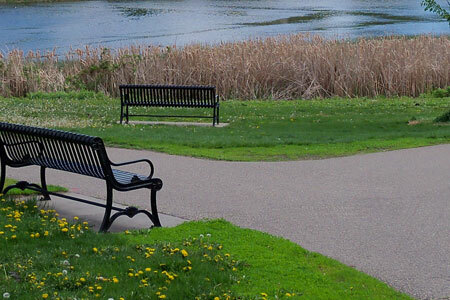 At Mr. Pavement, we’ve worked with a variety of parks, from small, local ones with playgrounds to large city ones that span several square miles, so no matter what kind of park you’re part of, we can help. We offer asphalt, paver, and concrete paving services that can add useful hardscapes to your park. Accessibility is key when it comes to any park, so having a large, well-placed parking lot makes it clear to individuals where they’re allowed to leave their vehicles. In addition, walkways around and/or through the park can provide a scenic walk or run and an easy way to maneuver through grassy or muddy areas. 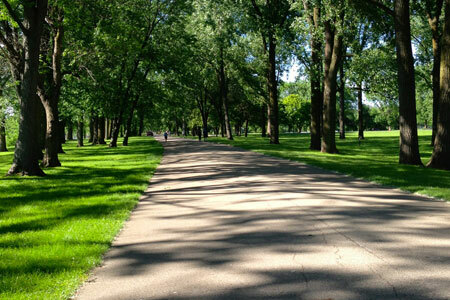 Many parks include recreational areas like tennis courts, basketball courts, or areas to picnic or relax. At Mr. Pavement, we can help design and create virtually any type of recreational area. In addition, we can also restore or repair any area that may be worn, damaged, or in need of an update. Some parks focus more on design than recreation and if yours falls under that category, we can help. We carry a variety of pavers in many different shapes, sizes, and colors that can be arranged in an architecturally inspired manner. They can be used for walkways, bench areas, fountain platforms, and more. For park paving of all types, don’t hesitate to call Mr. Pavement. We’ll discuss your paving needs and get started quickly so you can have a beautiful paved area for many to enjoy.